The best in the country. So says DownBeat Magazine. The “bible” of the jazz world has named the Lawrence University Jazz Ensemble (LUJE) and the student quintet Jake Victor 5TET winners in its 41st annual Student Music Awards (SMA) competition. Results were announced in the magazine’s June edition. This was the fourth time in its history LUJE has been honored by DownBeat. It was previously recognized in 1985, 2000 and 2007. 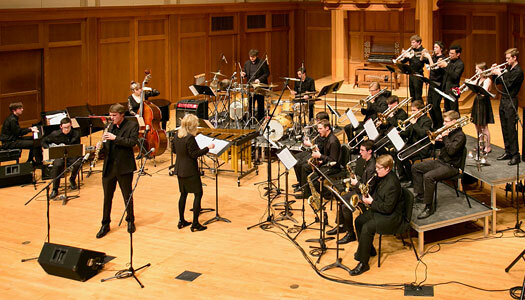 DownBeat’s SMAs are considered among the highest music honors in the field of jazz education. They are presented in 13 categories in five separate divisions: junior high, high school, performing high school, undergraduate college and graduate college. 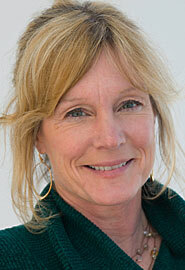 Darling said the award is a confirmation of the quality of jazz studies at Lawrence. LUJE was selected for the SMA from a submitted recording of three songs: an arrangement by Sturm of Marcus Miller’s “Splatch”; “Wyrgly” by Maria Schneider and “Egberto” by Florian Ross. “Splatch” was performed by LUJE last October at the Kaleidoscope concert at the Fox Valley Performing Arts Center and then again as the opening number last November at Lawrence’s Fred Sturm Jazz Celebration Weekend concert where it was recorded. Two of the selections submitted were from the 2016-17 version of LUJE, but Darling said both last year’s and this year’s ensemble are special. While Darling’s name is on the SMA certificate as the ensemble’s director, she is quick to stress “it takes a village” to win awards like this. Where LUJE’s SMA recognition was a bit more calculated, Victor and his Lawrence roommate Kilkelly-Schmidt’s award was full of serendipity. 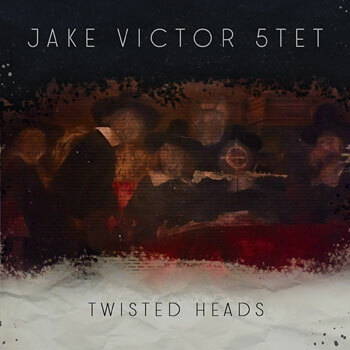 After all, until a few months ago, the Jake Victor 5TET didn’t even exist. But thanks to an open jam session, five virtual strangers collectively found musical magic. Seniors Jake Victor (left) ad Jack Kilkelly-Schmidt. Early in the school year, at a weekly public jam session in Amsterdam hosted by a local establishment, Victor, a pianist, and Kilkelly-Schmidt, who plays guitar, found themselves on stage with a drummer from Spain and a bassist from Belgium. They played one standard together and had a blast. The next day at a conservatory class, a saxophonist from Estonia turned the new quartet into a quintet. They began playing jazz standards together for the next several weeks before a personal goal of Victor’s altered their history. On board with the idea, the band soon recorded another Victor original. The rapidity in which everything came together still makes Victor shake his head. The end result, “Twisted Heads,” was recorded at Key Element Music Studios, which, adding to the serendipity, is owned by Daan Herweg, the pianist who hosted the open jam session at Café Nel in Amsterdam where the musicians first met. The album features seven Victor songs and one track written by his friend, Jason Koth, a 2017 Lawrence graduate. With Darling’s encouragement and recommendation, Victor submitted two tracks off the album for DownBeat’s consideration. It was late February when an email from DownBeat popped up his phone while he was practicing in the jazz room. Bedlam resided just a click away. “Twisted Heads” was released on April 15. Victor, Kilkelly-Schmidt and their bandmates — drummer Eloi Pascual, bassist Matteo Mazzu and saxophonist Tobias Tammearu — are currently putting plans in place for a 10-day Midwest tour starting in late August from Minneapolis-St. Paul to Lexington, Ky. What the future holds is still to be determined. The three international musicians would like to come to the states for a while, while Victor is contemplating returning to Amsterdam for grad school. For Victor, winning the DownBeat award was the icing on a valuable personal experience. “It turned out to be a really worthwhile challenge. I told myself by the time I graduate I want to have a book of my tunes that I can bring to a gig. When I first started writing seriously, I always sat on tunes for too long — nothing was ever good enough for me to bring in to bandmates and this was a way to work through that. 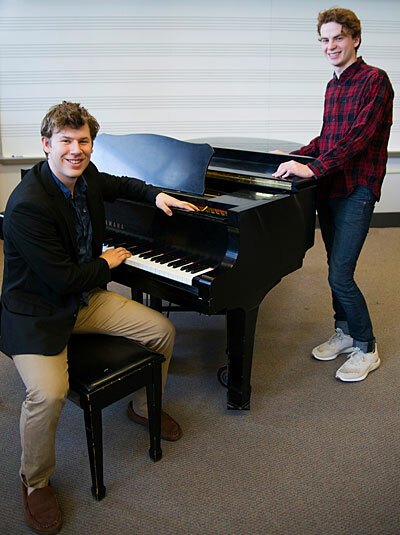 Since DownBeat launched its Student Music Awards competition in 1978, Lawrence students and ensembles have won a total of 30 SMAs, including 10 in the past eight years.